As long as she can remember, Laura Yrastorza has been interested in health and science. She received her B.S. in Molecular Biology from Vanderbilt University and went on to pursue Physical Therapy at University of California at San Francisco. She has been a licensed PT since 1990, practicing in a variety of settings such as sports medicine, workers compensation, inpatient rehabilitation, and outpatient orthopedics. Laura brings thoughtfulness and compassion to her therapy sessions and offers a multitude of different treatment options as she understands that everyone has unique needs. She has therefore pursued extensive continuing education including manual therapy courses, Parkinson’s Disease specific training, Dry Needling, Selective Functional Movement Assessment, and NeuroKinetic Training. Laura believes in an individualized, hands-on approach, and partners with her patients through their healing or recovery process. “Laura is very thorough. She is very concerned with my comfort during treatments, and strives to figure out the complexities of my problems. “ Jackie B. 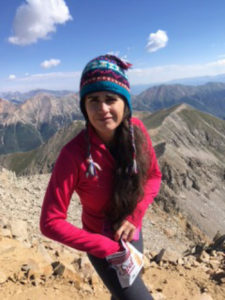 In her free time, she enjoys spending time with her husband and two children hiking, biking, skiing, camping or any other activity that brings them together.